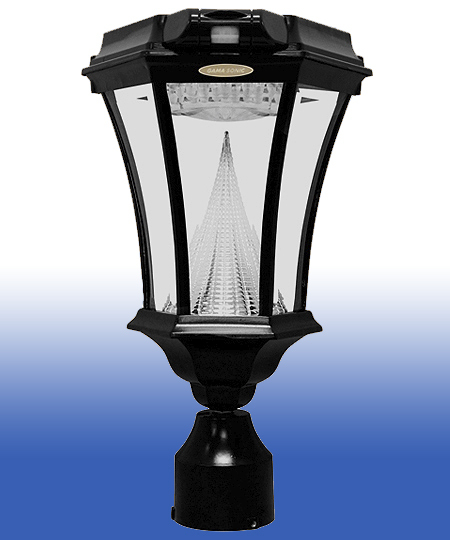 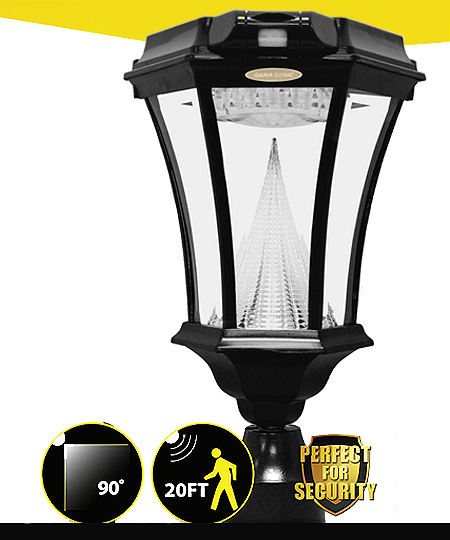 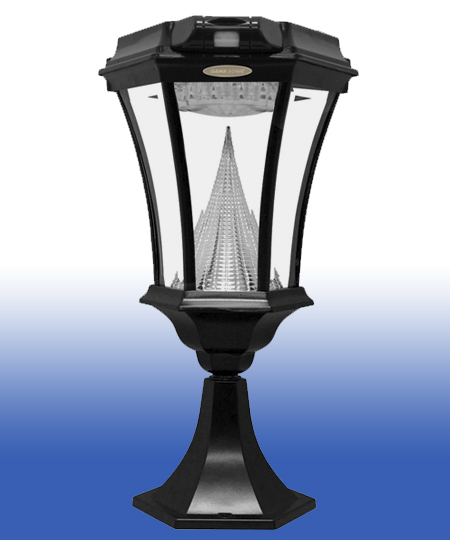 The Victorian Solar Lamp with PIR Motion Detection (GS-94FPW-PIR) is a single solar light that comes with all hardware needed to mount it on existing lamp posts (Fitter installation) and on outdoor horizontal (Post/Pier Mount) and vertical (Wall Mount) surfaces. 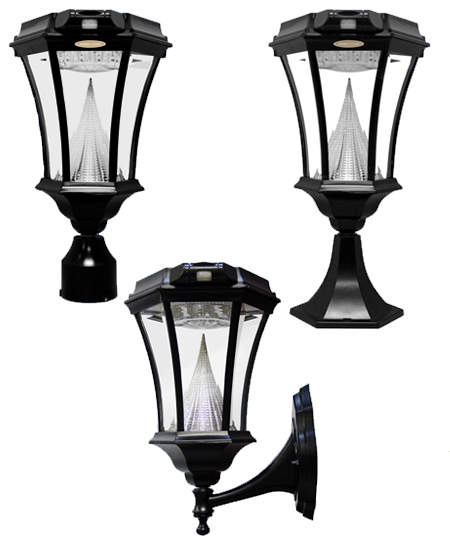 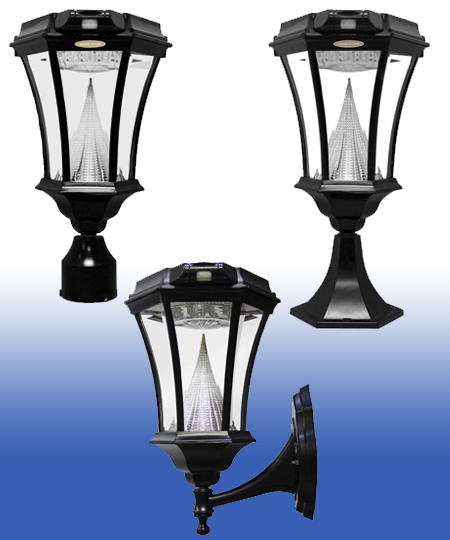 At first glance, the new Victorian Lamps look just like their predecessors: a classic gas light design with beveled glass panes, black powder-coated cast aluminum construction, and patented cone design. 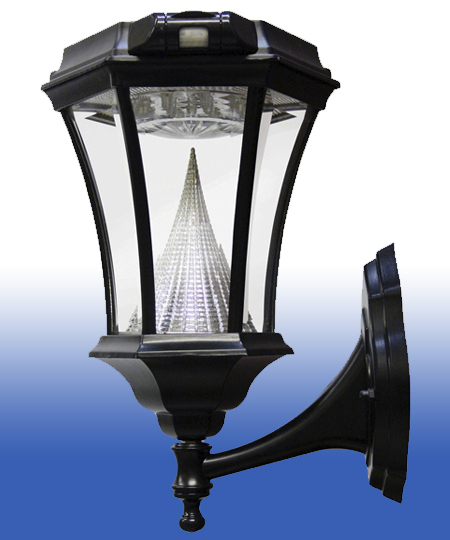 Lamp becomes 2 times brighter when motion is sensed nearbyThe solar panel is located at the top of the lamp.